Oklahoma Christian Requires authentication to connect to the campus wireless network. 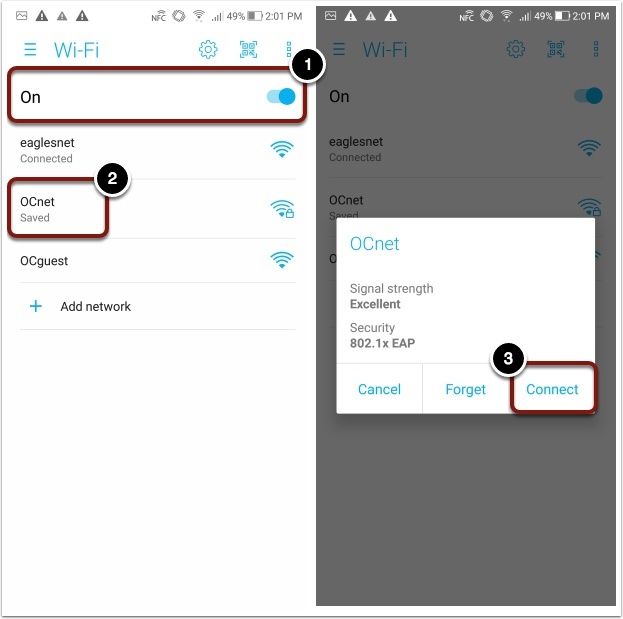 Follow the instructions below to connect to the campus wifi (OCnet) using an Android device. 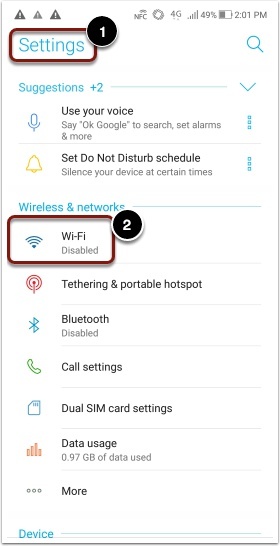 Select Wi-Fi (or Wireless, depending on model). From the EAP method drop-down select PEAP. 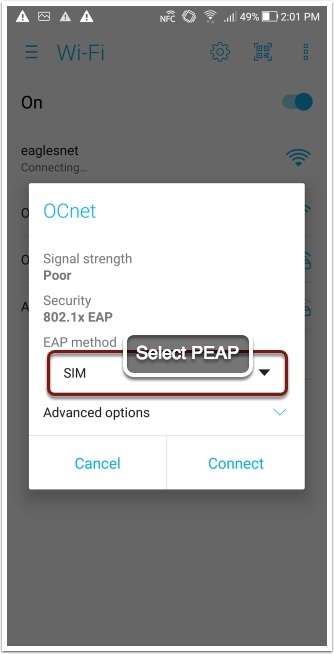 Once PEAP is selected, more options appear as below. Password - Your OC password.